I feel a little lost these days. I have some issues (like you didn't already know that), but I am trying to overcome them. I am far from perfect, and this time of year always manages to bring those imperfections to light. 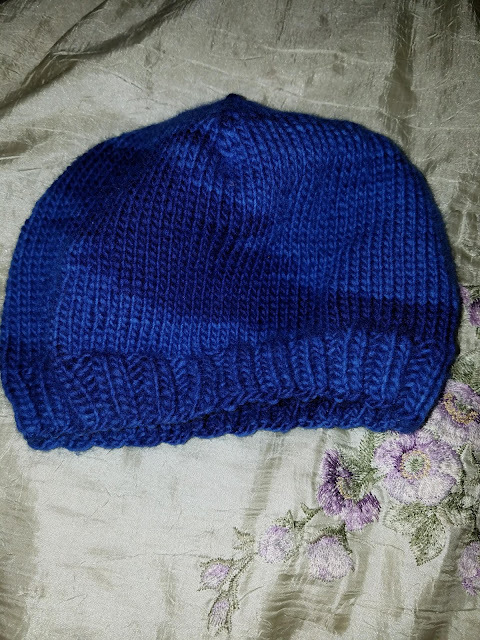 I finished Little Man's hat last night. I kind of like the swirl of dark. It is KnitPick's Preciosa yarn in Captain. I had leftovers from a scarf I made for my brother, and I think I can still make a scarf with the remainder. 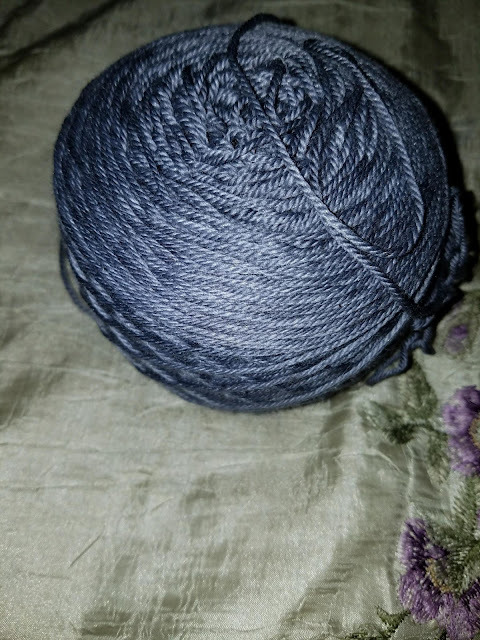 I am about to start on the last pair of socks for Christmas. I think this may be the last year I make a bunch of gifts for Christmas. Not because I don't enjoy it, which I do, but because it prevents other things from happening. I know crafters who make somethings for the holidays, and others who refuse. I guess if I get asked maybe I will, but I think I need to start caring for myself a bit more in that department. Not to be selfish, but because if I have an empty cup, how can I pour into someone else's?